Ceramics/Plates and Picture frames Glassware/Baskets etc. Use the sub-navigation to the left to refine your search. 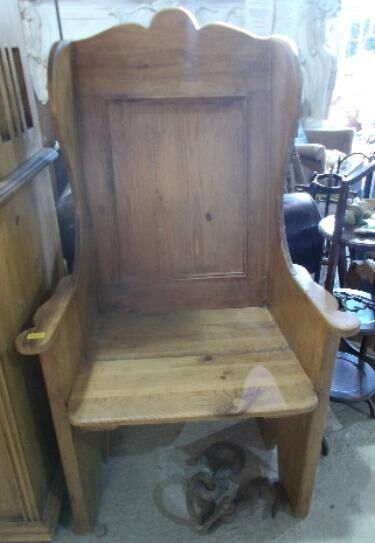 Reclaimed, pine settle style chair. 1242mm (49” ) height of the back highest point. 560mm (22" ) depth from front to back. £225.00 including VAT @ 20%. £750.00 including VAT @ 20%. 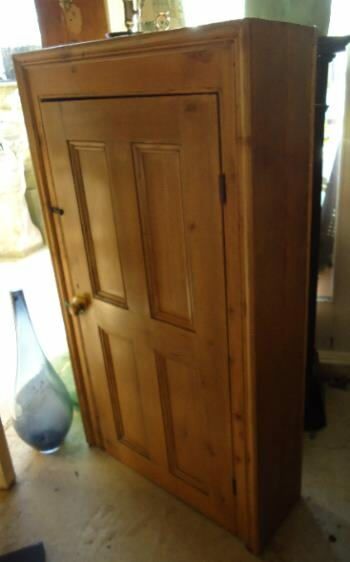 £ SOLD including VAT @ 20%. 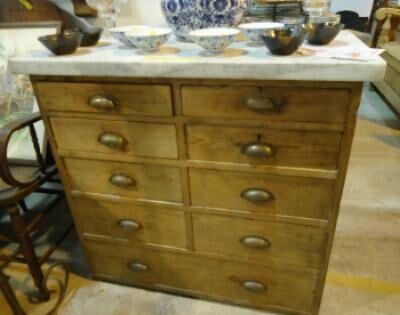 Reclaimed, marble top, old pine, drawer unit. SOLD including VAT @ 20%. 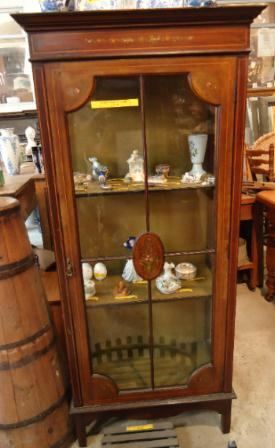 Reclaimed, tall display cabinet, with hand painted flowers, on the front of the cabinet. . Single opening door, to which we have the key. The sides are also glazed. 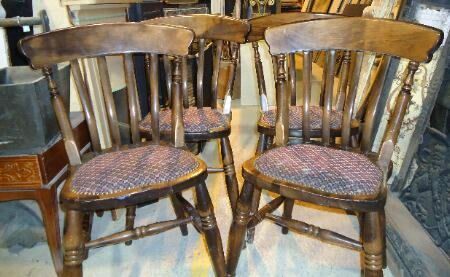 Description: A set of 4 reclaimed pub chairs. £100.00 for the set of 4 chairs including VAT @ 20%. 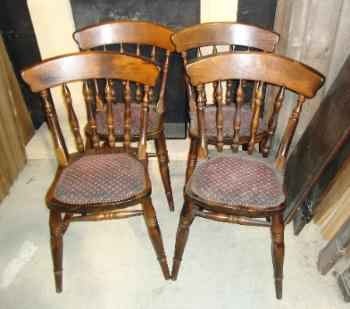 Description: Reclaimed Pub Wheelback chairs. 3 chairs currently available in stock. £25.00 each including VAT @ 20%. A set of 4 reclaimed pub chairs. A small reclaimed side table. 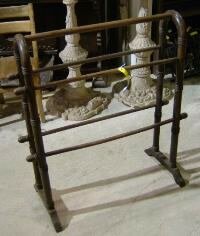 Description: A reclaimed old free standing towel rail . 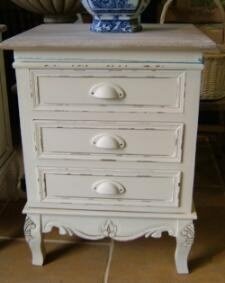 Description: 2 new destressed painted bedside tables, with drawers. 482 mm (19 ") width x 381mm (15 ") depth x 635mm (25")high. Prices : £190.00 each including VAT. 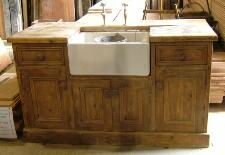 Description: A reclaimed old pine free standing sink unit, and side cupboards. Belfast sink also included . 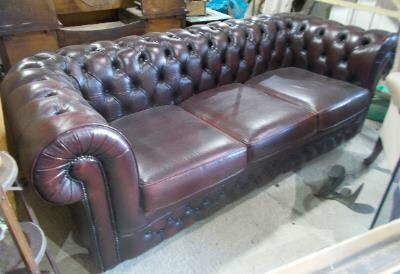 Prices : £495.00 including VAT. 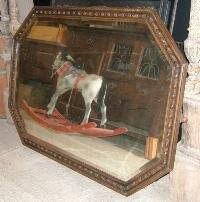 Description: An old reclaimed mirror.. Size : 1007mm (42 ") width x 703mm (28 3/4 ") high. 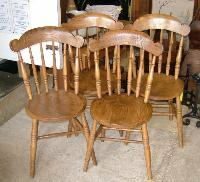 Description: A set of 4 old reclaimed Elm chairs . Size : 900mm (35 1/2 ") height to back of chair x 406mm (18 ") height of seat. Description: An old set of wooden step ladders.. Size: 15250mm (60") high × 455mm (18") wide. 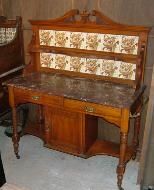 Description: An old reclaimed, free standing wooden wash stand, with a marble top and a tiled splash back. There are brass towel rails to each end. Size : 1070mm (42") wide x 1220mm (48") high x 480mm (19") deep. The towel rails add a further 55mm (2.25") to each side of the width. 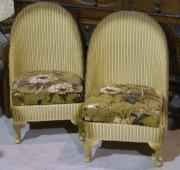 Description: A pair of reclaimed Lloyd Loom chairs. Size: 760mm (30") high × 510mm (20") wide x 530mm (21") deep. Price : £40.00 each including VAT. 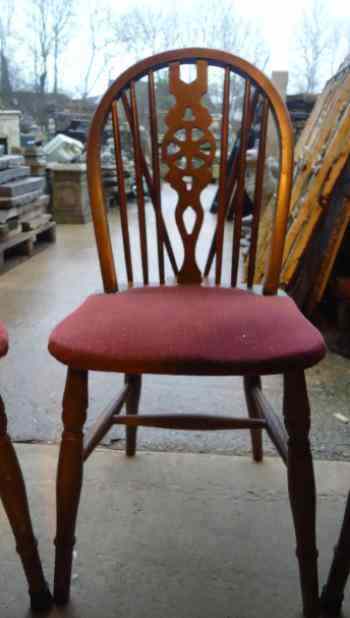 Description: An old reclaimed kitchen chair. 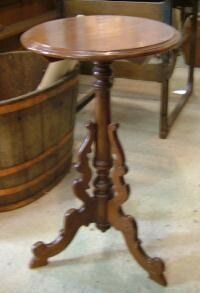 Size : 400mm (15.75") wide x 840mm (33") high x 370mm (14.5") deep. Description: A reclaimed "coffee table" with a reversible top. Tapestry to one side and solid timber to the other. Size: 990mm (39") long × 420mm (16½") deep x 305mm (12") high. Description: A selection of reclaimed wooden, Primary School chairs in 3 different sizes. 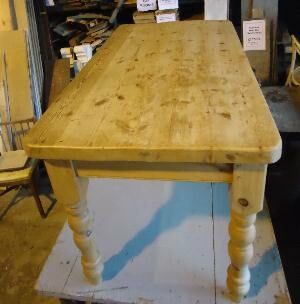 Prices : As seen reclaimed timber, £15.00 each including VAT. : Painted finish as seen £20.00 each including VAT. 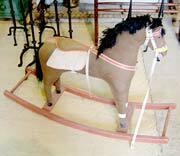 Description: An old Rocking Horse. We have a number of these in stock, all of them slightly different.